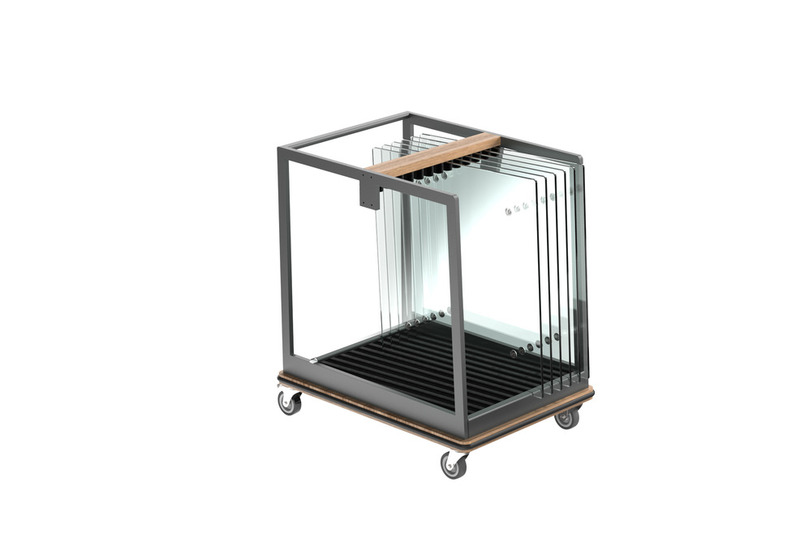 This trolley is designed with a steel outer frame and felt liner to give maximum protection to glass table tops. The key grips adjust to accommodate either 800 or 700 series tops. Accommodates 12 tops.